Alex Rodriguez may have played his final game Friday night in New York, one cannot help but think of the team that drafted him. In 1995, the Seattle Mariners fielded one of the most exciting teams in baseball. At starting pitcher, you had the most intimidating presence in Major League Baseball history, The Big Unit, Randy Johnson. In centerfield, there was one of the best all around players in the league, Ken Griffey Jr. At shortstop, stood a young star who could hit 40 home runs and steal 40 bases in any given season, Alex Rodriguez. These three guys without a doubt had Hall of Fame talent. But one by one, they left the Mariners and the franchise that once on a brink of winning a World Series, would soon become an afterthought. 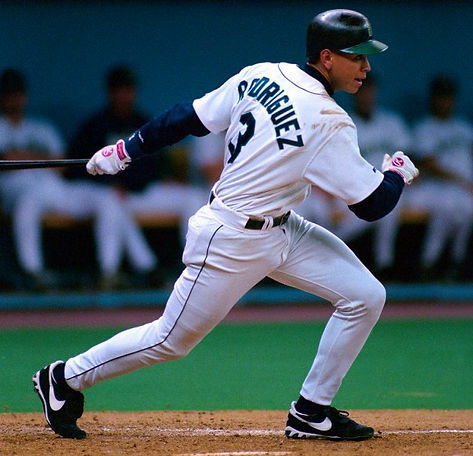 Alex Rodriguez was drafted by the Mariners number one overall in 1993 at age 18, and against his agent’s advice, decided to stay rather than re-enter the draft. He made his major league debut in 1994 and by the time 1996 came, he was an All-Star, Silver Slugger and runner up for AL MVP. 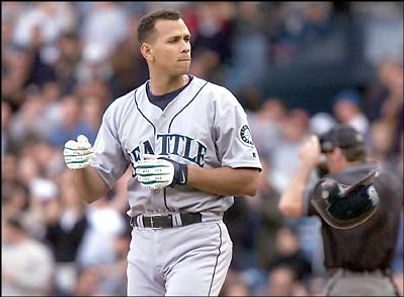 Without a doubt, A-Rod was the future of the Mariners. Ken Griffey Jr. was everyone’s dream franchise player. He was picked number one overall in 1987 and exceeded expectations. He spent his 1st 11 seasons with the Mariners where he had seven 40-plus home run season, including two 50-plus. He won four home run titles, seven silver slugger awards, 10 gold gloves, and he was the 1997 American League MVP. In addition to being great on the field, Griffey also signed huge deasl with Nike and Nintendo. 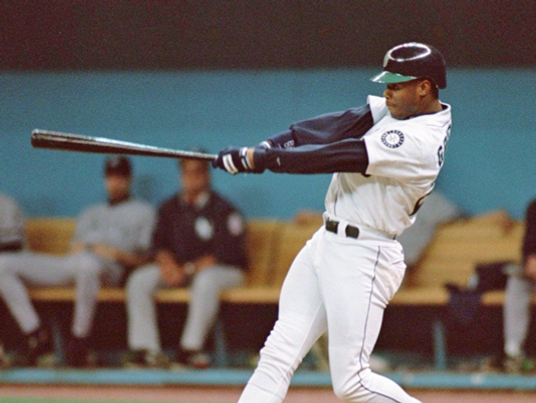 Ken Griffey Jr. was the face of baseball. 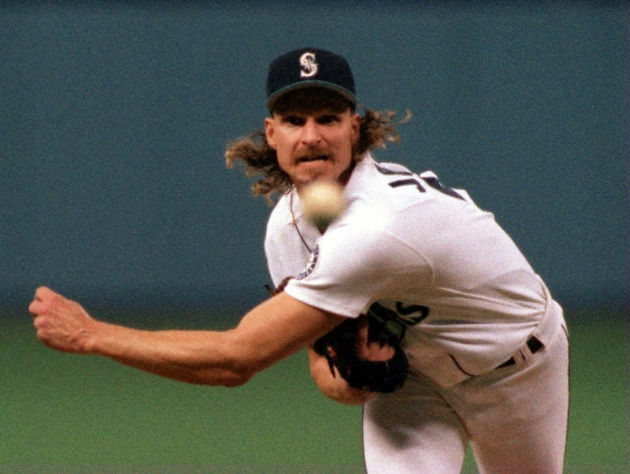 Randy Johnson was without a doubt the scariest pitcher in the 90s. The Mariners acquired Johnson from the Expos in 1989 and while Johnson started off as a wild guy, walking many of his opponents, once he got it together, he became a force to be reckoned with. He posted six 200 plus strikeout seasons, including one 300 strikeout season and in 1995, he won the Cy Young Award. So what happened to the Mariners. In 1998, the Mariners traded Johnson after he began the season 9-10 with a 4.33 ERA. He would be traded to the Houston Astros where he posted a dominant 10-1 record. Many say, he purposely pitched bad to get out of Seattle. That is not a fair statement. After the 1999 season Griffey requested to be traded due to the desire to live closer to his family in Cincinnati. While he was still an All-Star in Cincy, Griffey was never the same guy who was the face of baseball in Seattle. 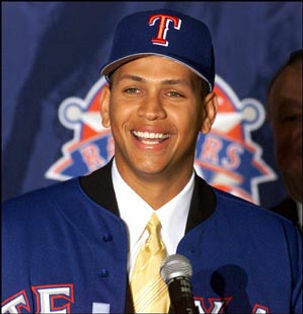 Rodriguez left the Mariners after the 2000 season to join the Texas Rangers. They signed him to an unprecedented 10-year deal worth $252 Million. At that time, the largest contract in professional sports was Kevin Garnett’s deal with the Minnesota Timberwolves which was 6-years, $126 Million. Mariners fans will always say what if? Johnson bounced around the league, but spent a great deal of his time with the team he represents in baseball’s hall of fame, the Arizona Diamondbacks. It was Arizona where Johnson along with Curt Schilling led the franchise to their only World Series title. A-Rod was later traded from the Rangers to the Yankees and in the process of becoming one of America’s most hated athletes, he went on to win a World Series in 2009. Griffey would spend majority of his career in Cincinnati where he joined the 600 home run club before ultimately returning to Seattle where he retired. He would set the record for most Hall of Fame voting percentage. Yes, he entered as a Seattle Mariner. In sports we always ask the question, what if. What if Michael Jordan would have returned in the 1994 and 95, would the Bulls have won eight straight NBA Finals? What if Kobe and Shaq never split up, how many titles would they have won? What if Jimmy Johnson and Jerry Jones would have casted egos aside, how many titles would the Cowboys have won? Would they have become the team to win three straight Super Bowls? There is no way to answer, but we can always have fun guessing. So I am going guess that the Seattle Mariners would have eventually gotten over the hump in 2001. The trio of Rodriguez, Griffey and Johnson would have still been around with Ichiro Suzuki. Let’s not forget that the 2001 Mariners team won an MLB record 109 games. With these three guys, this team would not have fallen to the mighty Yankees in the 2001 American League Championship Series. And without Johnson, who knows who would have been the opponent in the World Series. Of course there are other factors such as team chemistry, but we’re having fun here. 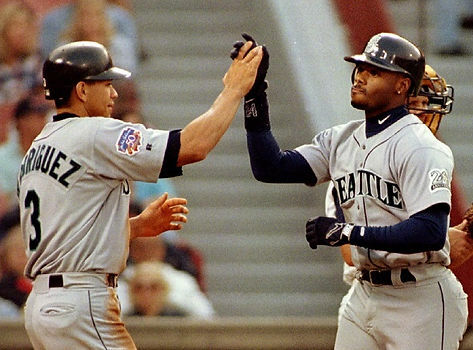 The Seattle Mariners would have won their first of many titles in 2001 and Ken Griffey Jr and Alex Rodriguez would have had an epic home run chase. Griffey and Bonds would have squared off to see who would reach 756 first and the younger Rodriguez would have surpassed them both and became the first player in history to hit 800 home runs. Sorry Seattle, but these moves help us understand why everyone is Sleepless in Seattle.